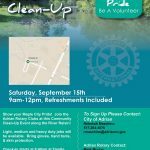 There will be a clean-up effort on the River Raisin September 15th. 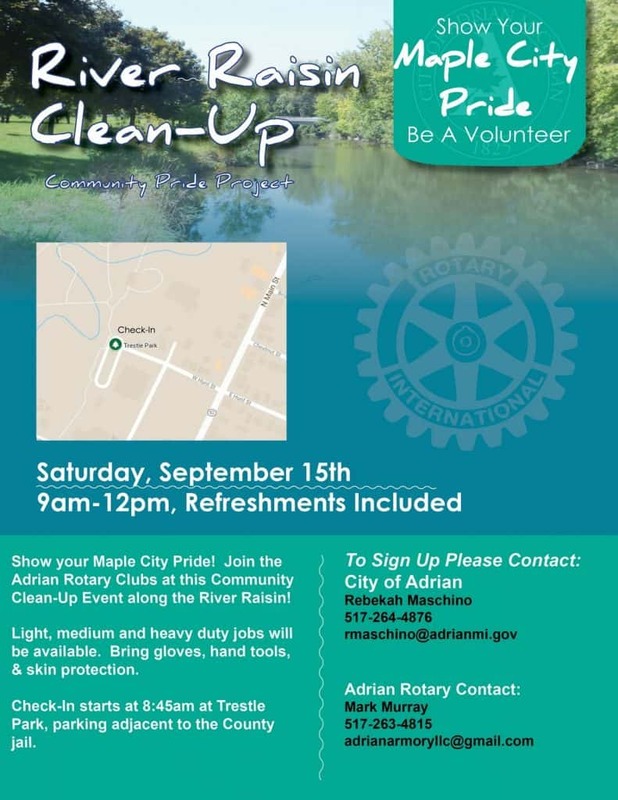 The project started as an Adrian Noon Rotary event, and now has transformed into a community effort. You can hear the full conversation with Mark and Mary Murray, Chuck Chase, and Dale Geartner on Community Conversation Monday, September 10th at 6:15pm on WLEN 103.9fm.